Many people enjoy gambling without it affecting their day-to-day functioning. But unfortunately, some people are unable to control their gambling, and it becomes an addiction. Substance use disorder can also co-occur when someone has a gambling addiction. What are the signs and symptoms that someone is compulsively gambling and abusing drugs or alcohol? The following article will explore the signs of substance abuse, gambling addiction, and how to treat both of these disorders effectively. Behaviors like gambling release dopamine in the brain, and can also release adrenaline and other endorphins. These biochemical markers can produce a slight euphoria, or a high similar to that seen when someone takes drugs or abuses alcohol. Although the high produced during activities such as gambling is much less potent than a drug high, it can still become addictive for at-risk people. Most people can engage in activities like gambling and not become addicted. A gambling disorder, however, is a pattern of negative behavior that impacts a person’s daily functioning and their well-being. When someone starts to feel an urgent, compulsive drive to engage in gambling behaviors despite the consequences, then they are addicted to the action. Unaddressed gambling addiction is incredibly risky because gambling addicts will keep taking greater and greater risks to reverse a loss. They can become bankrupt, or lose their home from problem gambling. How many people struggle with a gambling addiction? Estimates show that between .2% and .3% of the U.S. adult population struggles with a gambling disorder. Gambling disorders tend to develop and get worse over a period of years when people with an addiction continually increase the amount and the frequency of their bets. 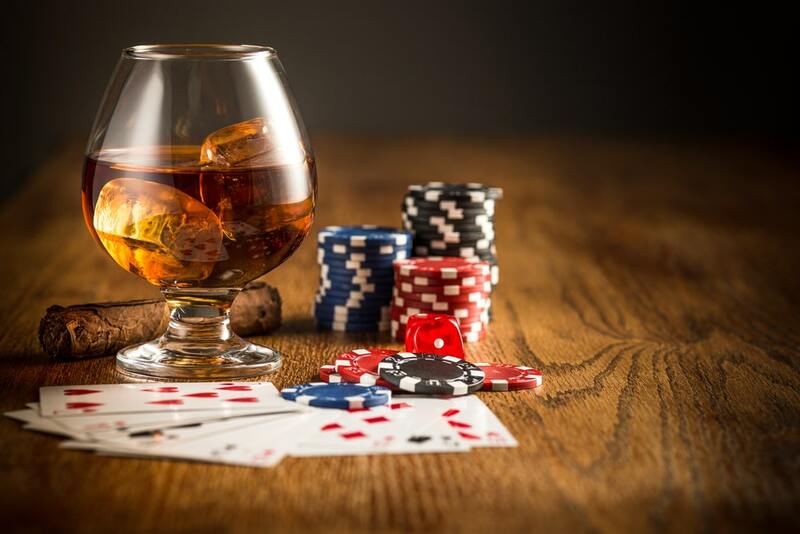 Although a gambling addiction can start at any time in a person’s life, people who develop a gambling disorder during their teens or young adult years tend to be at higher risk of developing a drinking problem or a substance use disorder. Also, women who are struggling with a gambling addiction have higher rates of comorbid mental health disorders than men with gambling addiction. What are the risk factors for gambling addiction? Men are more likely to struggle with a gambling addiction than women. Also, men with a gambling addiction tend to struggle with the disorder at younger ages than women who develop a gambling addiction. Young people and middle-aged adults are more likely to struggle with a gambling addiction than people over the age of 65. Gambling disorders are more common with people who struggle with mental health disorders, most notably anxiety disorders, depression, and some personality disorders. Women with gambling addiction are more likely to suffer from anxiety, depression, and bipolar disorder than men with a gambling addiction. If someone has a mother, father, or a sibling with an alcohol use disorder, they are at higher risk of developing a gambling addiction than members of the general population. African Americans and Native Americans are at higher risk of developing a gambling addiction than Caucasians or people of Asian descent. Gambling disorders are more common in more impoverished areas, and among people of lower socioeconomic status. Is it common to have a gambling addiction and a co-occurring substance abuse disorder? Yes. People with a gambling disorder are at higher risk of abusing drugs or alcohol than the general population. Studies indicate that comorbidity among problem gamblers is high. For gambling disorder, alcohol abuse and addiction is the most common comorbid condition associated with problem gambling. 73% of surveyed participants with a gambling disorder also had an alcohol use disorder. What are the signs and symptoms that someone has a gambling addiction and is abusing drugs or alcohol at the same time? Some of the signs and symptoms of gambling addiction and substance abuse will overlap. For instance, both disorders are characterized by a compulsive need to engage in the behavior. Also, people with either disease or both disorders will be unable to stop without outside help and intervention. When should someone get help for gambling and substance abuse? If a person is displaying the above signs of comorbid gambling and substance addiction, and if they are experiencing severe negative consequences related to these issues with an inability to stop, they need to seek help for their addiction. An integrated treatment plan that combines individual therapy, family therapy, and 12-step programs is one of the most effective ways to treat both a gambling addiction, substance use disorder or an addiction to alcohol. It’s critical that patients can uncover their triggers for gambling and substance abuse, and learn to identify both the internal and external factors that may compel them to gamble or use a substance. Therapy can help patients uncover these triggers and engage in preventative measures, which may include things like closing down credit card accounts, avoiding casinos, and other people or places that remind them of gambling and substance abuse. If you or a loved one are struggling with a gambling addiction and a comorbid drug or alcohol addiction, there is help available. Please reach out to a qualified addiction counselor today to explore your treatment options for gambling and drug addiction.